I took a train from Bucharest, Romania to Gorna Orjahovica in Bulgaria where I befriended a Japanese man named Ari while waiting for our connecting bus to Veliko Tarnovo, which dropped us at the railway station outside of the medieval town. We decided to walk to our hostel, first across the highway, then through weird passageways, then up a hill to the edge of the town centre. About an hour in, we stopped to look at Ari’s map and make sure we were going in the right direction. A couple of Bulgarians, Miro and Alex, saw us foreigners with our big backpacks and asked us if we needed help. After looking at our map, they decided that the distance was too far to walk and offered to drive us to the hostel. Tired and sweaty, we gratefully accepted at this point and it was a fortunate turn of events because after the ride, we figured we’d be walking at least another 40 minutes to get to the hostel. We also got a brief history lesson and a mini-tour of the city on the way there. This post comes belatedly; as I post this, I am actually in Frankfurt and the majority of this post was written in the hostel lobby in Kotor, Montenegro. Naturally, I say that posts about Serbia, Montenegro, and Hungary are also upcoming, however sporadic they may be. The list of places I want to visit is a long one, and the list keeps getting longer with each trip after hearing stories of adventure and intrigue from other travellers I meet. While my time in Romania was part of a longer Balkan/southeast Europe trip, I’m extremely glad that I ended up staying almost two weeks in the country. 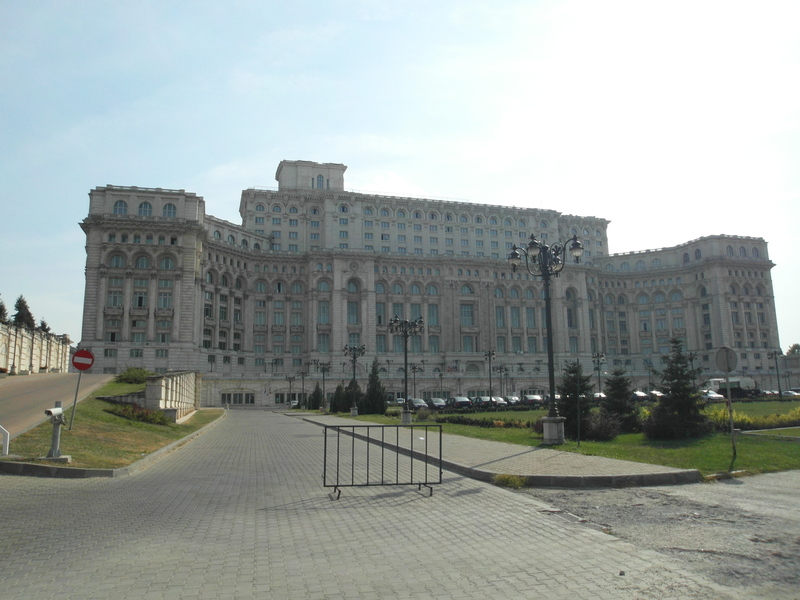 To be sure, two weeks is still a small fraction of time to spend in a country like Romania. I visited Bucharest, Brasov, Bran, Rasnov, Sighisoara, Sibiu, Cisnadie, Cisnadioara, Cluj, Suceava, Gura Humorului, the monasteries of Humor and Voronet, and Timisoara, and I feel like I’ve barely scratched the surface of this fascinating country. The capital city of Romania is an intriguing mix of brutalist Communist-era architecture, exemplified most strikingly by the gigantic Palace of Parliament, grandiose buildings built in the second half of the 19th century, and wide tree-lined boulevards which have once garnered the city the name “Paris of the East.” It’s a vibrant city where contrasts are the norm, definitely worth exploring despite what the guide books might say.